Considering the widely publicized pitching woes and the unexpectedly anemic offense, it could be worse for the Boston Red Sox. Almost a quarter of the 2015 regular season is complete, and the team favored by many pundits to win the American League East title is 19-20 and 2.5 games behind the New York Yankees. With the trade deadline still more than two months away, and most teams unlikely to execute trades since they still believe they are at least in the wild card race, Red Sox general manager Ben Cherington has little choice but to look within the organization to inject life into a batting order that generated just 23 runs over the recently completed 5-5 road trip in Toronto, Oakland and Seattle. While splitting a four-game set against the Mariners, the Sox mustered a total of seven runs. The starting rotation has shown improvement since Carl Willis debuted as pitching coach on May 9, but the Sox will probably pursue a veteran upgrade before the All-Star break, and one option currently occupies a rotation spot with the A’s. 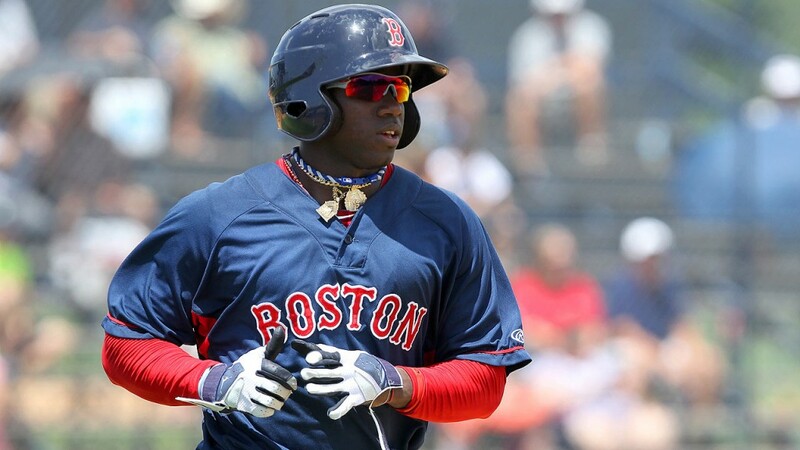 Keeping the current state of Boston’s rotation and lineup in mind, three names that could help catapult the club as it attempts to build momentum heading into June and beyond are Rusney Castillo, Allen Craig and Scott Kazmir. Perhaps coincidence, and maybe because of a new voice and a different approach, the Red Sox pitcing staff has performed significantly better since Willis started as pitching coach on May 9 in Toronto. The day he arrived, the Red Sox staff ERA was 5.04. In the eight games Willis has held the title, Boston arms have surrendered 28 earned runs over 80.2 innings, which translates to a 3.14 ERA. In a four-game stretch during this span, Wade Miley delivered a shutout at Oakland while Joe Kelly and Clay Buchholz limited the Mariners to one run in their respective outings. Justin Masterson, who struggled with command and saw his fast ball velocity dip to 86 while serving up 10 earned runs over 6.2 innings in back-to-back starts, was placed on the 15-day disabled list and replaced in the rotation with promising knuckleballer Steven Wright. The 30-year-old Wright limited Seattle to two earned runs and five hits over five innings in a loss on Sunday. He is a useful piece as a long reliever and spot starter, but likely the Red Sox will opt for another arm to join Kelly, Buchholz, Miley and Rick Porcello in the rotation. Eduardo Rodriguez, a highly regarded 22-year-old left-hander who is pitching well at Triple-A Pawtucket, is a possibility. Kazmir, the 31-year-old left-hander who has resurrected his career in Oakland, would be an attractive addition. He is 2-2 with a 3.08 ERA and a 1.16 WHIP over eight starts for an A’s team that has slipped 11.5 games behind Houston in the American League West standings. Kazmir has allowed 39 hits in 49.2 innings with 49 strikeouts and 19 walks. From his tenure in Tampa Bay, Kazmir knows how to effectively navigate AL East lineups. Kazmir would cost dramatically less in terms of prospects compared to Philies left-hander Cole Hamels. A package can be built around shortstop prospect Deven Marrero, who is expendable since the Red Sox have Xander Bogaerts. Oakland GM Billy Beane would also likely ask for one of the trio of highly regarded left-handers in Rodriguez, Henry Owens or Brian Johnson. Kazmir would be worth that cost for the short term and long term. He would give the Sox a No. 2 type arm, and he is a free agent who could be re-signed in the offseason. Even if the Sox rotation continues to improve, and a veteran arm like Kazmir is added, it will mean little if the lineup remains feeble against left-handers and struggles to consistently generate more than three runs per game. It is only a matter of time before Castillo is summoned from Pawtucket. The 27-year-old Cuban import is batting .304 with two home runs, nine RBI, six stolen bases and four doubles in 69 at-bats. He provides right-handed pop, which the Red Sox lack, even with names like Hanley Ramirez and Dustin Pedroia in the lineup. There is no obvious spot for Castillo since center fielder Mookie Betts has shown enough at the plate to keep in the lineup, Ramirez is stationed in left field and Shane Victorino is 6-for-13 with a home run and an array of impressive defensive plays over the last four games. Yet Victorino is still batting just .212, he is injury prone and he is no longer a switch-hitter. Since the veteran solely bats right-handed, there is no path for a Castillo-Victorino platoon. Boston’s best option is to designate Daniel Nava for assignment, keep Victorino as a spare outfielder and use super utility man Brock Holt as a backup first baseman. That latter spot – first base – is one of the lineup’s most gaping holes. Mike Napoli is batting .174 (21-for-121) with four home runs, 31 strikeouts and a .589 OPS. The Red Sox will let the veteran right-handed hitter fight his way out of the season-long slump, but if improvement is not shown over the next few weeks, a change could be made. Napoli will be a free agent at season’s end, and the Red Sox will likely pursue a first baseman via free agency or trade then. As for now, one name to watch is Craig. This undoubtedly sounds appalling to many Red Sox fans since Craig is mysteriously far from the slugger he was as recently as 2013 in St. Louis. In a part-time role, the 30-year-old right-handed hitter was 7-for-52 (.135) with one home run and looked helpless at the plate. On Monday, the Red Sox announced that Craig had cleared waivers and was outrighted to Triple-A Pawtucket and off the Major League club’s 40-man roster. The first baseman/corner outfielder has shown encouraging signs that he might be regaining his stroke. He is 8-for-32 (.250) with three doubles since joining Pawtucket. His average took a dive on Monday when he was 0-for-4, but Craig has looked more confident over the last week. Should Napoli continue to struggle, there is no obvious solution from within the organization. Ramirez is adapting to a new position in left field, and it is unreasonable to throw him into another new role. First base is a challenging position to learn, especially without the benefit of a full spring training. Holt is best suited as a super utility player and is not a long-term fix at first base. Nava is hitting .151 (8-for-53) and is barely clinging to a roster spot. Barring a trade, Boston’s best hope is that Craig continues to rebuild his confidence at Pawtucket.